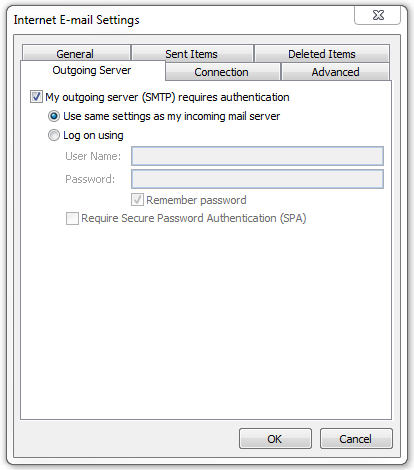 This guide will help you set up a new email account with the proper server settings in Outlook 2010 or 2013. Step 6. 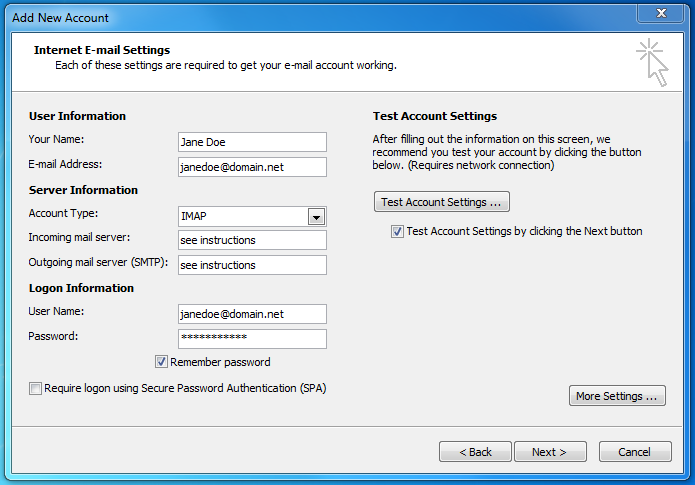 The Test Account Settings window will appear and process the test automatically. 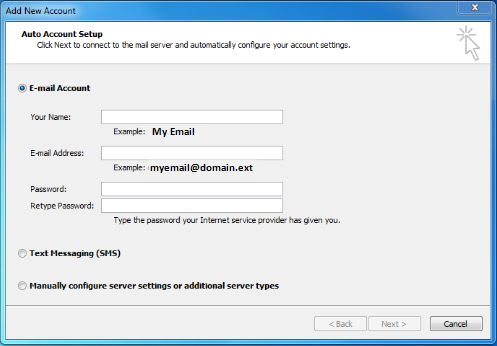 If you experience an error, double-check all steps for accuracy, make sure your Internet connection is active, and try again. Step 7. 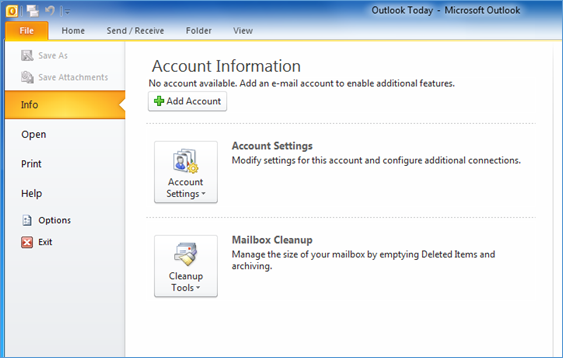 Once your account settings are confirmed by the system, you are finished! 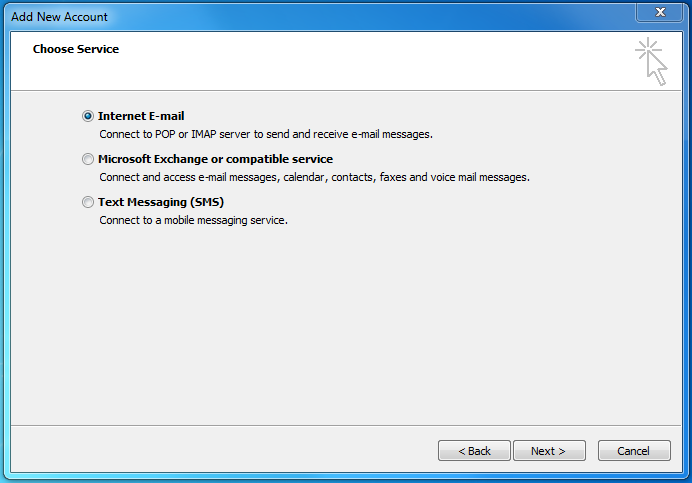 Click Close to exit the setup window. 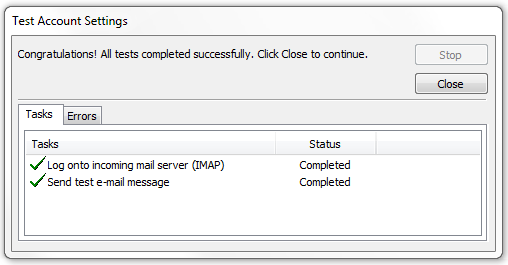 Congratulations, your Outlook 2010 email is now set up!